JEE Main Application Form 2019 – The application correction is available now to change the category details. Candidates can change their category by log in to the website till April 17 (5:00 pm). NTA has closed the JEE Main 2019 application process for the April session. Candidates who had registered for the January session had to apply for the April session using their January session credentials. Candidates appearing in April for the first time had to register and fill the JEE Main application form afresh. 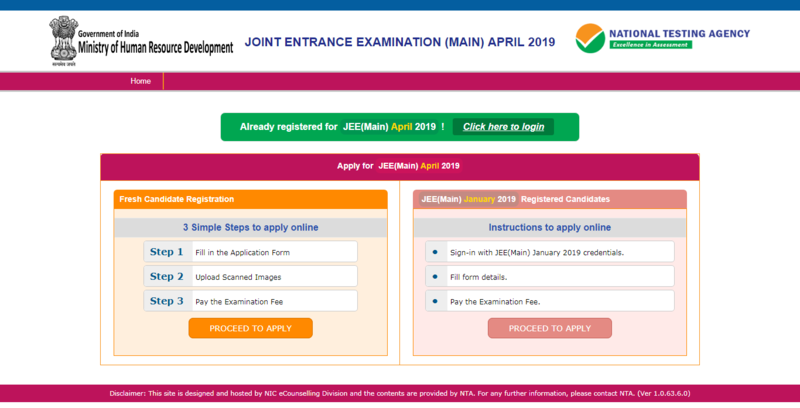 JEE Main application form 2019 comprised of entering requisite details, uploading of images and application fee payment. 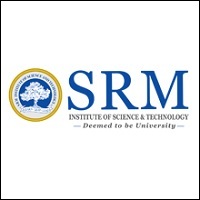 Paper 1 was held on April 8, 9, 10 & 12 while Paper 2 of JEE Main April 2019 was held on April 7. 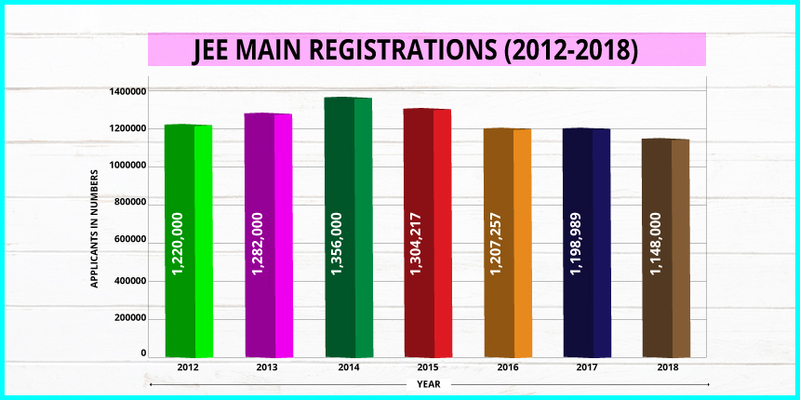 Candidates can refer to this article to know how to fill the JEE Main 2019 application form. Latest: JEE 2019 application form correction is available now to change the 'Category' column only. JEE Main (January session) was conducted from January 8 to 12 with the application form available from September 30 to October 1, 2018. Check all the relevant details related to JEE Main 2019 application form mentioned below in the article. What's new in JEE Main 2019 Application Form? NTA has revised the application fee of JEE Main 2019. Registration can be done with the Aadhaar / Passport / bank account/ ration card / any other valid Govt. identity details. Unlike earlier, parent's signatures are not required to fill the JEE Main application form. There is no age limit. Candidates above 25 years can also apply as per the Supreme Court directive. More than 1.5 lakhs Common Services Centres (CSC) across the country can be used to fill application form of JEE Main 2019 on payment of extra charges. Details given at the end of this article. Identity details of any one - Aadhaar/ passport/voter ID/ bank account/ ration card/ valid Govt ID. Scanned images of photograph and signature of the candidate as per given specifications (Given below). 1. For new registrations (candidates who are registering for the first time). 2. For JEE Main January 2019 Registered Candidates - Personal and other details were not required to be entered it. They were fetched from the January application. Candidates had to choose the following using the edit button given therein. Examination Related Details – Candidates had to select the paper (1 or 2 or both) and preferred language . Qualifying Examination Details - Details of class 10 and 12. Contact Details – Address details. These need not match with Aadhaar card. Details of the Guardian –Details of the guardian/parent’s occupation, qualification and annual income had to be entered. Selections of Exam Centres- Candidates had to select any four cities of their choice in the order of preference. More than 8 and less than 13 characters. At least one upper case alphabet, one lower case alphabet and one numeric value. One special characters in the selected password - [email protected]#$%^&*_. Candidates had to review and submit the JEE Main 2019 application form after choosing their password. The JEE Main application number generated had to be kept safe for future logins. Next, the candidates had to upload their scanned photograph and signature. To do so, they had to click on “Upload Scanned Images” tab. The specifications for the scanned documents are provided in the table given below. The uploading of documents was open till March 8, 2019. After successfully uploading the scanned documents, the candidates had to pay the application fee through online or offline mode using Credit Card/Debit Card/Net Banking/e-challan. How to pay Application Fee of JEE Main 2019 through e-challan? Take a A4 size print out of the e-challan in PDF format from SBI MOPS page which consisted of the candidate's information plus Bank Reference Number. Visit any of the SBI branches in India and deposit the amount in cash at least within 12 hours after taking the print out of e-challan). After cash was deposited by candidates, CBS system of SBI updated the payment status as being successful. 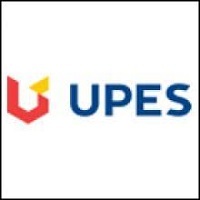 MOPS system will update the payment status only after candidates deposited the fee in cash within the prescribed time limit. Candidates could re-print the e-challan through the SBI online website under the tab SBI MOPS after submitting the required information. Candidates had to print 4 copies of their acknowledgement page. They must keep the acknowledgement page safely for future use. How to check the status of my JEE Main Application Form 2019? 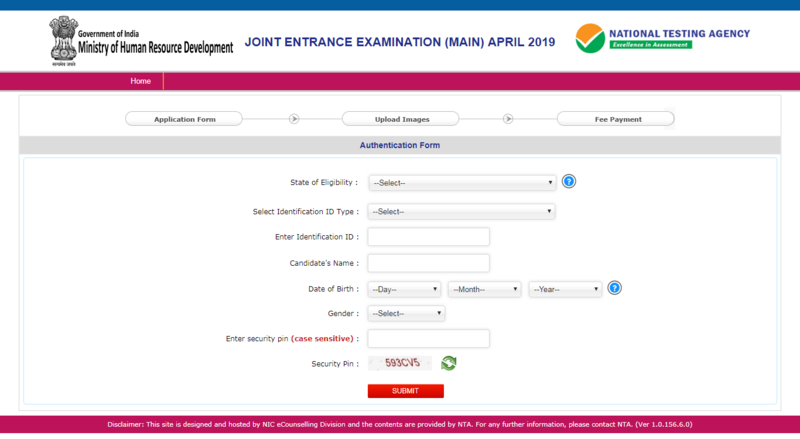 Login using the JEE Main application number and password using the candidate's login facility. The left hand side menu allowed candidates to print the confirmation page, admit card and result for the JEE Main January 2019 session. For payment through e-challan, candidates had to immediately contact their concerned SBI bank for updation of their status. For online payment, candidates had to pay the fees once again as this means that the earlier payment was not successful and will be refunded within 7 days . Forgot Password in JEE Main Application Form 2019? Reset the password by answering the security question selected during the registration process. The verification code will be sent to the registered mobile number and reset link will be sent to the email id. This verification code has to be submitted after which password can be reset. Forgot JEE Main 2019 Application Number? The candidates will have to enter details like their name, mother’s name, father’s name, date of birth, state of eligibility and security pin. After these steps are fulfilled, the application number will be given back to the candidates. 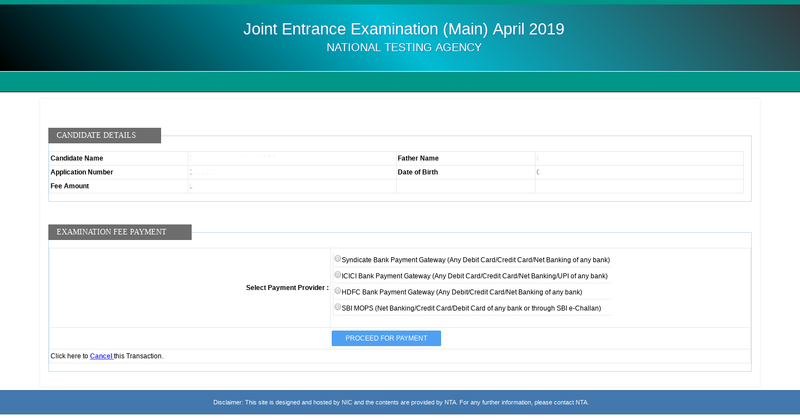 NTA had opened the JEE Main application form correction window facility till March 15, 2019. Candidates could edit most of the information during the correction facility timeline. As per the latest notification, first time applicants were able to make corrections on fields except photographs and signatures. For applicant who had appeared in January 2019, the corrections were on fields other than given in the NTA score card of January 2019, photograph and signature. Payment of correction fee could be done till March 16, 2019. 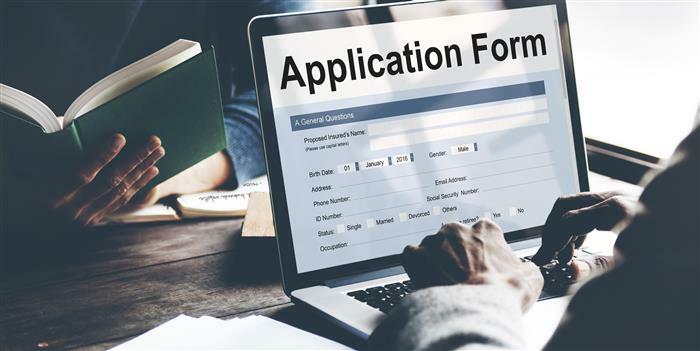 What after JEE Main Application Form 2019? All of the eligible registered candidates were able to download their admit card for the entrance examination. 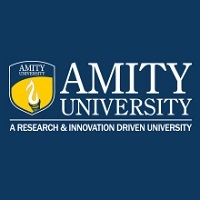 The admit card consisted of the details regarding when and where the examination will be conducted along with other information. It was essential for all candidates to produce the admit card of JEE Main 2019 at the exam centre. Without the exam centre, the candidates were not allowed to attempt the examination. Q. Is JEE Main Application Form available only in online mode? Ans: Yes, the application of JEE Main is available only in online mode. Q. Will the authorities accept photograph without the name and date? Ans: Yes, the authorities will accept photographs that do not have a name and date. However, the candidates are advised to follow the official instructions given by the authorities. Q. If a candidate has filled duplicate forms, then will the application form be rejected? Ans: If a candidate has filled multiple forms, then his/her application form will be rejected. Q. In case a transaction fails while paying the fee, what needs to be done? I have got 94 percentile in jee paper 2,can I get a seat in nit and I belongs to St category..